Do you ever clean your makeup brushes? 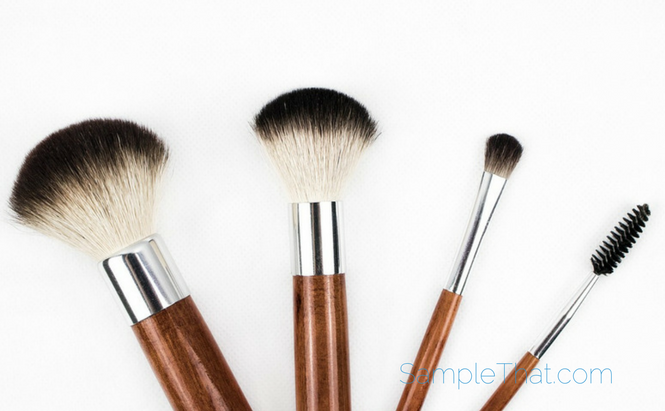 Do you continue to use dirty, makeup-caked brushes, or do you throw them out and buy new ones once they start looking a little worse for wear? Makeup brushes should really be cleaned every two weeks. First of all, if you’ve invested in good ones, you want them to last, and taking good care of them- which includes regular cleaning- will help this happen. Try it before throwing them out and spending money on new ones. And second, it will help keep your skin healthy. Dirt, oil, dead skin cells, and bacteria accumulate on them- yeah, I know, disgusting!- and keeping them clean is the way to keep all that stuff of your face. 1.Wipe off any excess makeup. You can use a tissue or paper towel, but little bits of paper could disintegrate and get stuck in the hairs of the brush. If you have a towel that you don’t mind sacrificing to the cause, that’s better. 2. Rinse the bristles of the brush in lukewarm water. Keep the bristles pointed downward and make sure not to let the barrel below the bristles get wet because that could cause hairs to fall out. 3. Squeeze a little soap or shampoo onto your hand and mix with some water. Let the shape of the brush tell you what to do next: Swirl domed or round brushes in the cleanser, and drag flat ones from side to side, until you’ve worked out all the dirt and oil. 4. Rinse again under lukewarm water, making sure to hold the bristles down. 4. Squeeze out excess water. If it looks dirty, run them through the soap and rinse again. 5. Reshape using your fingers. 6. Lay out flat to dry on a towel. This should take about six hours. It looks like a lot of steps, but it’s really very easy to do. And once you’re doing it already, go ahead and clean the handle with a little alcohol. Now your brushes are clean, germ-free, and ready to use again!